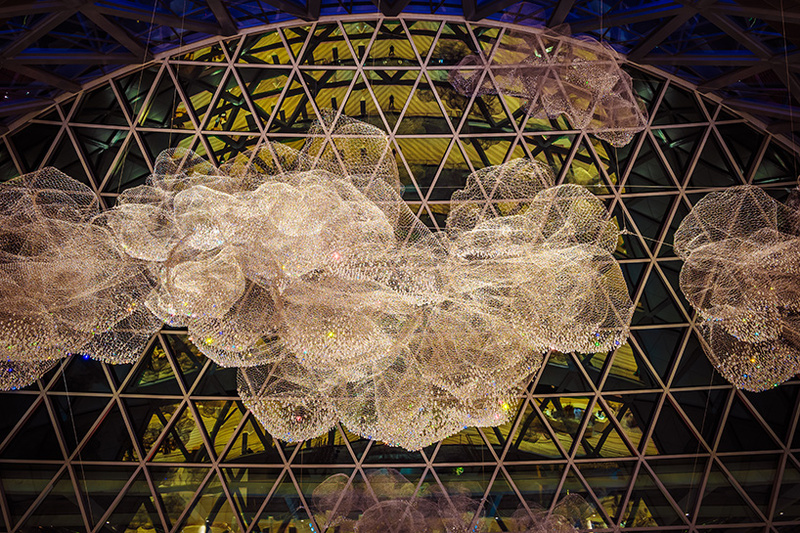 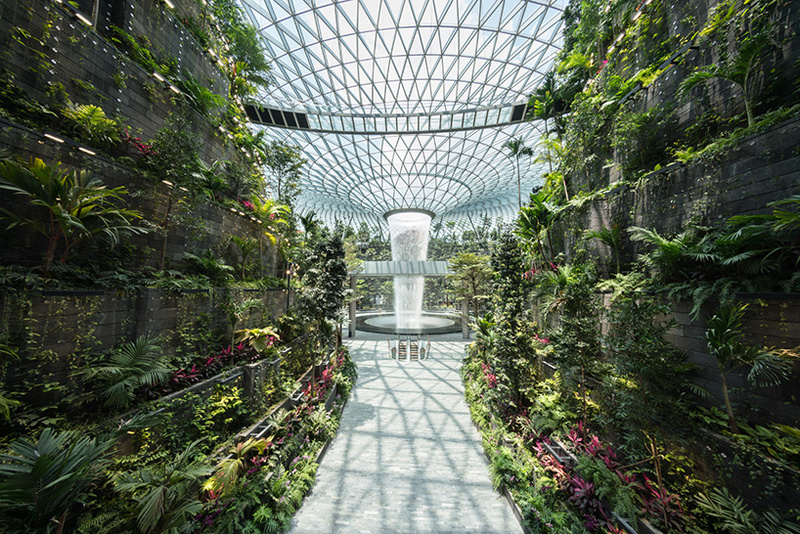 to realize the project, safdie architects brought together and led a global collaboration of talent in the fields of engineering, landscape architecture, water feature design, interior design, and art. 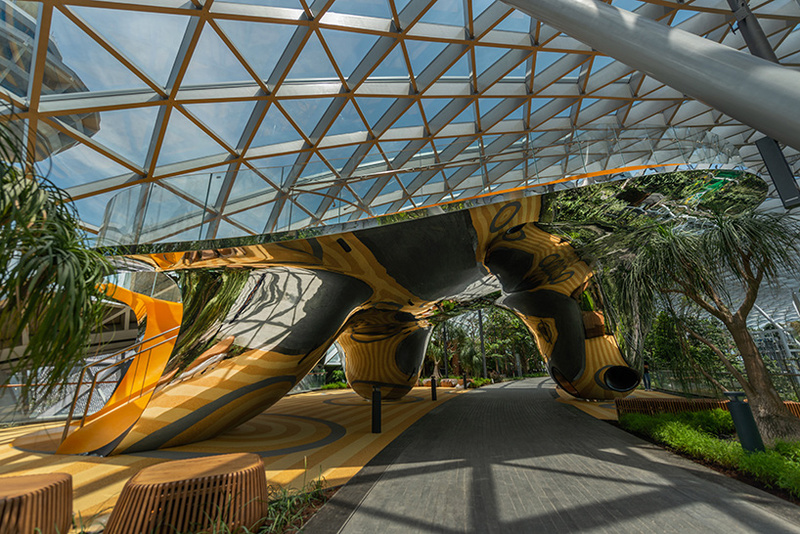 BuroHappold engineered the steel structure and developed the building’s complex façade systems, while atelier ten developed the site’s climate control, daylighting, and environmental systems. 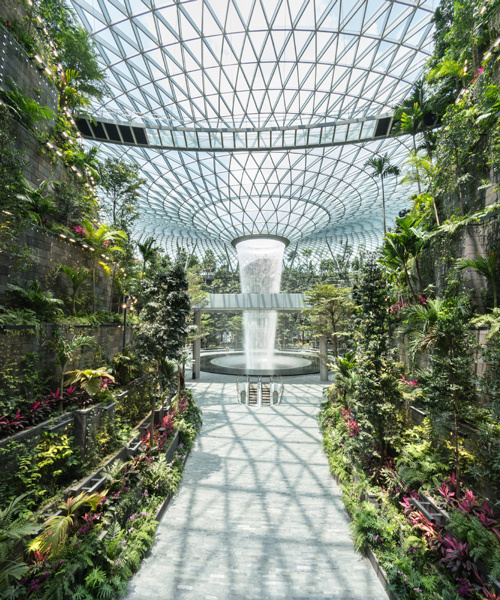 singapore-based firm RSP served as the project’s executive architect, working in close collaboration with safdie’s boston and singapore offices. 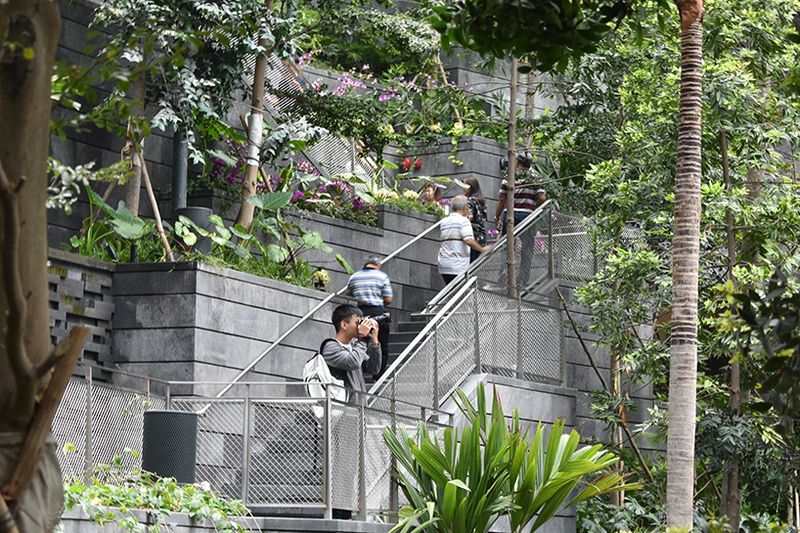 PWP landscape architecture worked closely with the team to shape and develop the lushly landscaped ‘forest valley,’ and led the design of the gardens. 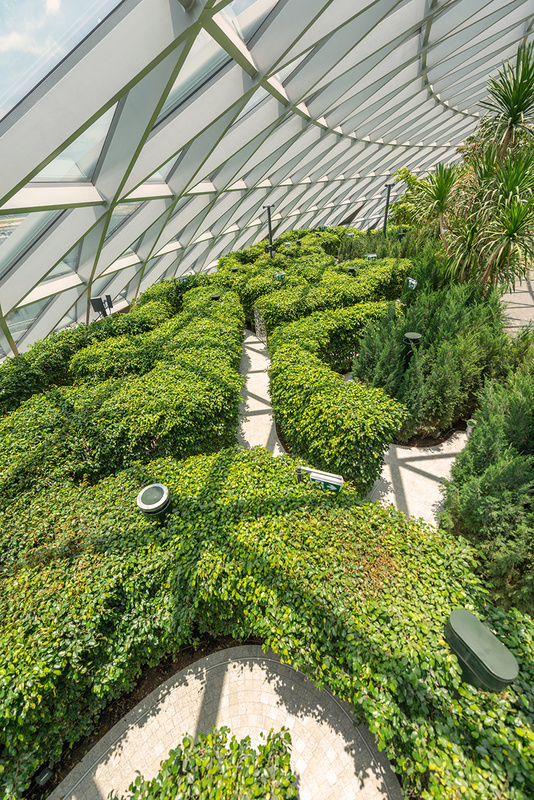 to create the first climate-controlled, indoor forest, PWP carefully selected plant life that would thrive within the targeted interior conditions and create a garden without draining resources. 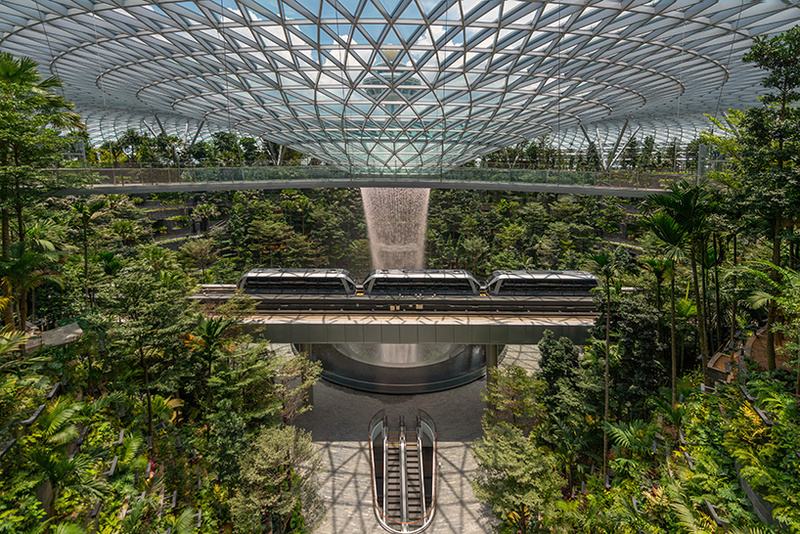 PWP collaborated with singapore-based ICN to develop and deliver the landscape design. 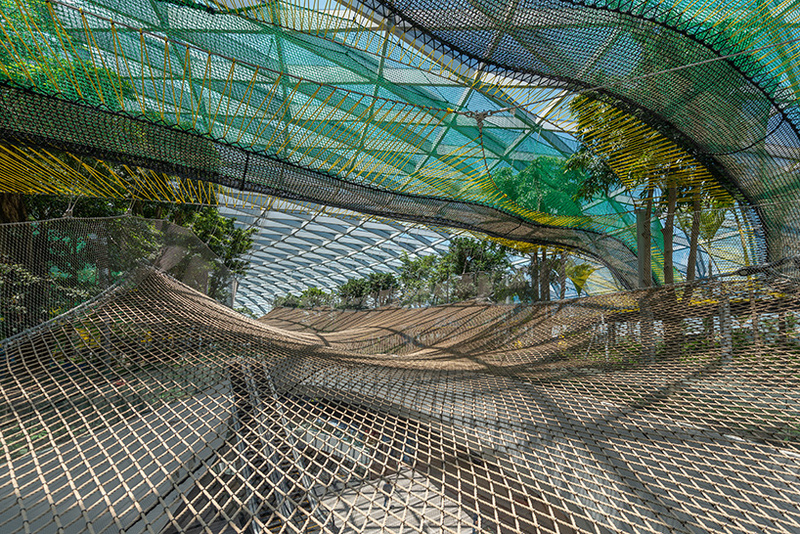 WET engineered the ‘rain vortex’ at the center of the forest valley garden. 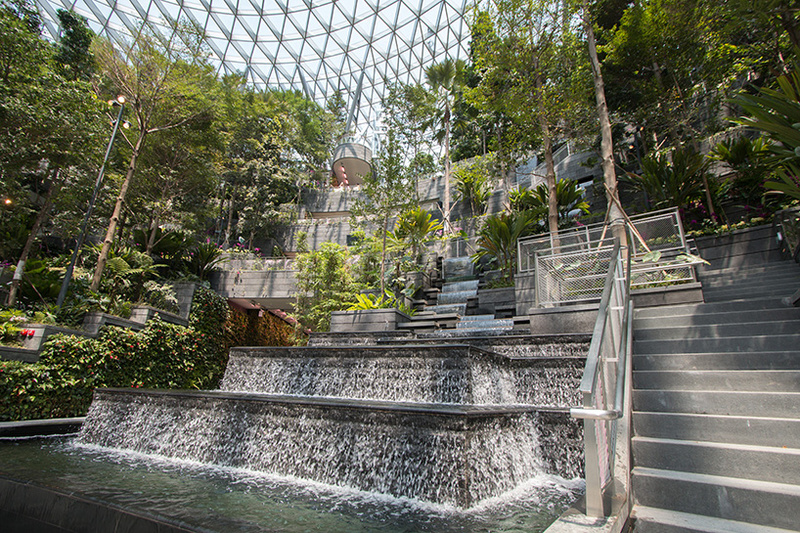 the firm developed a system that integrates sounds with projections from 360 degrees around the vortex to enable nightly light shows upon the waterfall. 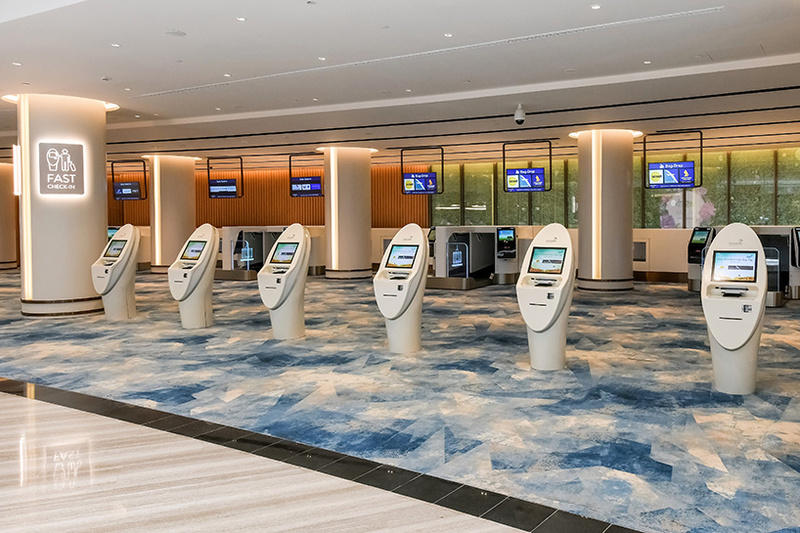 benoy collaborated with the team to design the retail identity for the project, as well as the ‘meeter-greeter hall’ — the key interface with terminal 1. meanwhile, pentagram, working in collaboration with entro, designed a comprehensive program of signage and wayfinding. 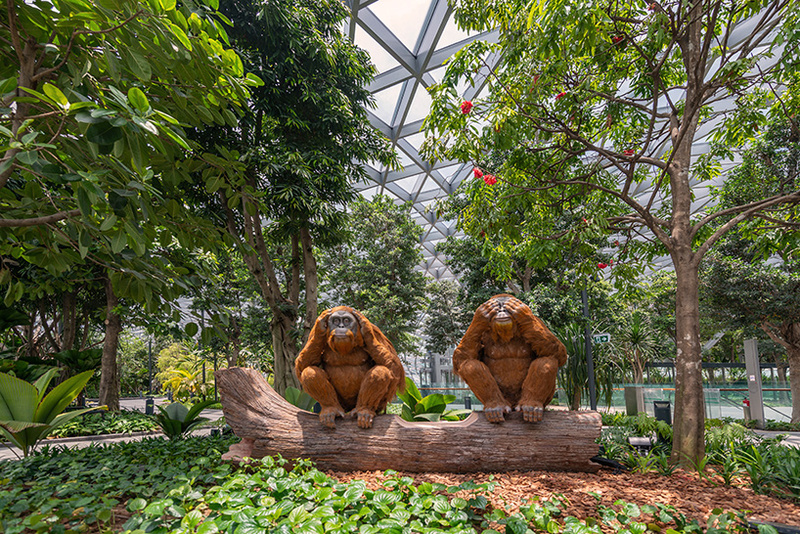 the signage is integrated with the architecture to create a system of way-finding that references the project’s urban character and works together to guide travelers. 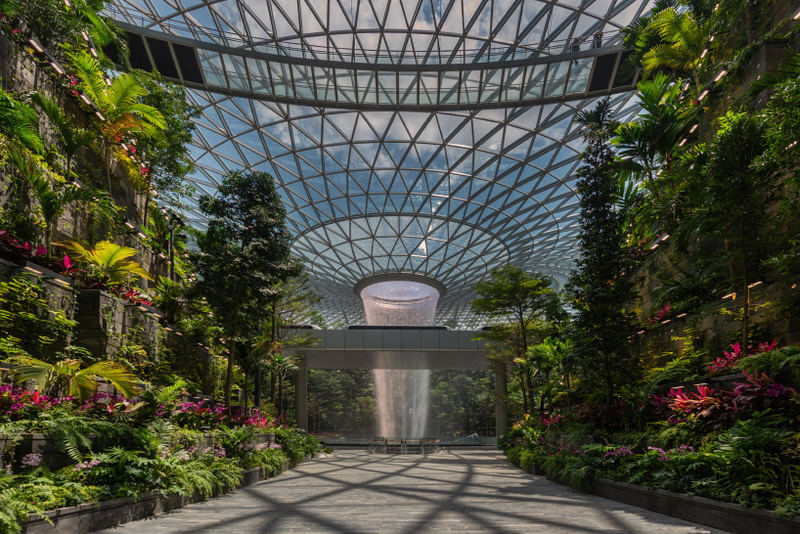 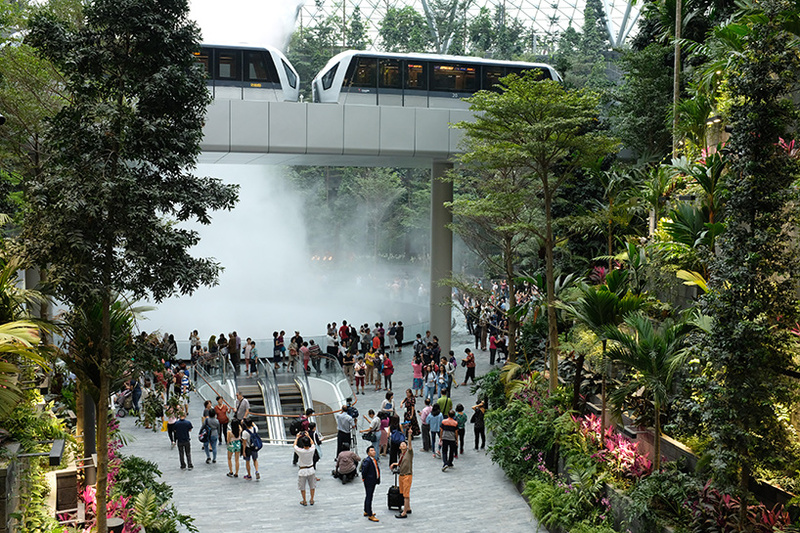 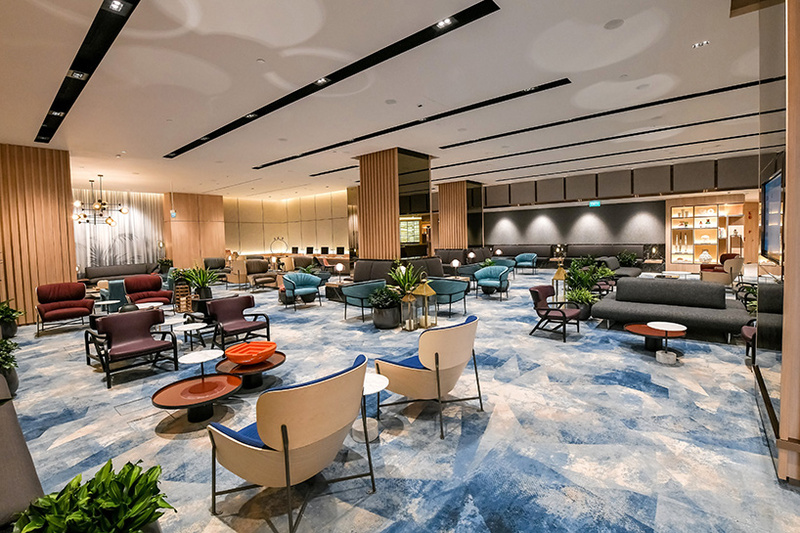 the project’s phased opening commences april 17, 2019.
video courtesy of jewel changi airport devt.